Despite my regret over Russian unwillingness to allow me to meet with their border officials and local political leaders across Estonia’s Narva border, we had a very successful trip to the northeast region last weekend. I learned about business plans by the U.S. company Eastman Chemicals after their recent purchase of Genovique Inc. in Kohtla-Jarve. The Port of Sillamae is a large, exceptionally modern port facility with expansion plans and an eagerness to welcome U.S. shippers. The Estonian Border Patrol in Narva could not have been more open and helpful in decribing their management of the Estonian/Russian border and their hopes for facilitating even smoother and more expeditious border traffic as soon as Russia is ready to agree. Narva city officials were positive about Narva’s political and economic future. The Narva College of Tartu University is completing construction of its new campus in downtown Narva and the College’s dynamic leadership has great plans for further programs as the top flight higher education institution in the northeast region. Dinner with professional leaders of Narva College at the beautiful Narva Joesuu coast had the double benefit of insightful conversation about education in Estonia and marvelling at the touristic treasure of Estonia’s as yet to be fully realized tourism potential. Estonia’s Power Company Eesti Energia (EE) is an impressive outfit that makes Estonia self- sufficient in electricty generation by mining oil shale, firing large power plants, and producing petroleum products. New technologies pioneered by EE are greatly reducing polluting emissions. Aspiring U.S. shale oil producers are eagerly looking to EE for insights and collaboration in exploring vast U.S. oil shale reserves in the future. 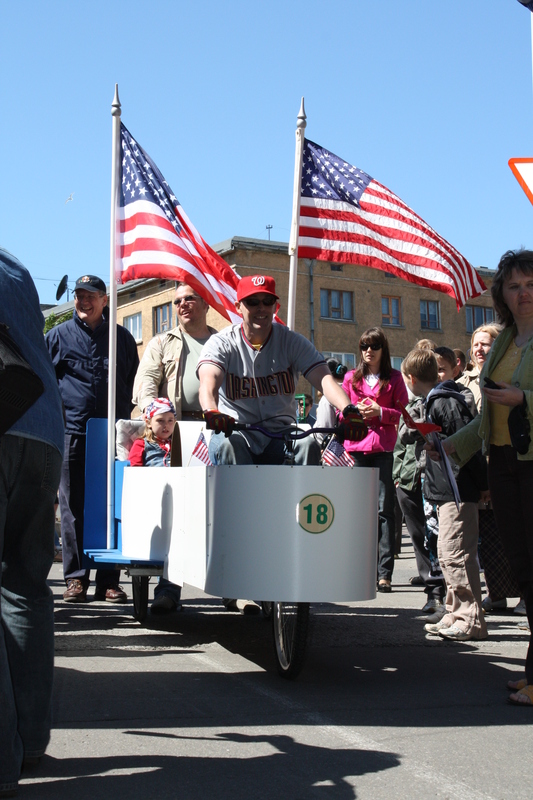 Finally, my visit was capped by helping launch the fourth annual Narva Soap Box Derby, organized by most energetic young community leaders who have cast all negative thinking aside and drew some 30 entries and thousands of visitors to this zany contest of all kinds of rolling machines. The weather cooperated and Narva was alight with happy people, laughing children, and a cacophony of voices in Russian, Estonian, and English. Our Embassy entered two vehicles into the derby and good fun was had by all. 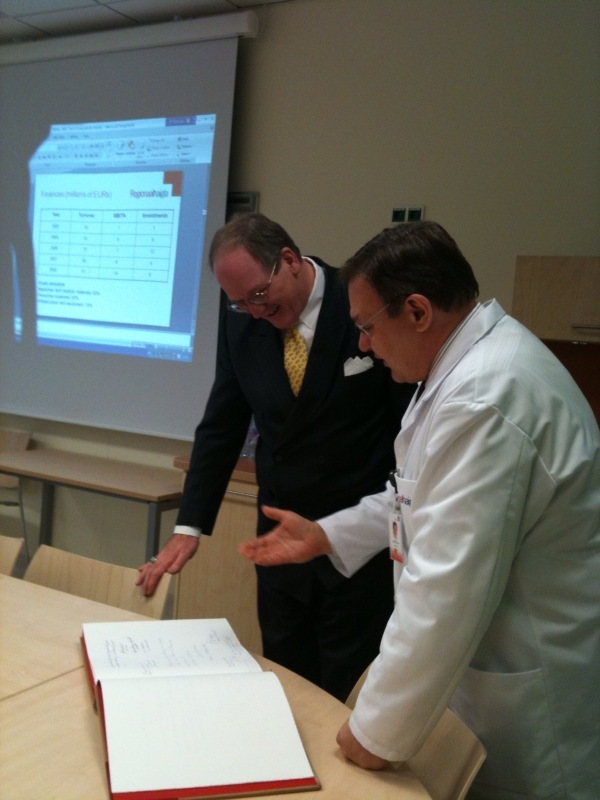 There are many challenges facing the Estonian economy, especially in the northeastern area I visited. Too many people are either unemployed or under-employed. But the sky is not falling and good will and a concerted effort by the Estonian government, civil sector, and private business has every chance of bringing prosperity to every last corner of this remarkable country. I continue to gather some ideas of our own of interest to American business and consumers to suggest to our Estonian friends and I will share them as appropriate with all the relevant players. I am going to Tartu, the second largest city in Estonia, on March 16 and 17, to meet among many others, students and faculty at the University of Tartu. At the University, I will speak to the issue of innovation as part of the answer to one of the most painful problems besetting people around the globe – unemployment. No single proposed solution can hope to “fix” too few jobs in the United States, in Estonia, or anywhere else. But creative and energetic private sectors, supported by sound government policies, must be one of the components of healthy new job markets. The fields where we need the next leaps in technology and knowledge have been much talked about: renewable energy, information technology and infrastructure security, food security, and global health. There are many more. Education and research are at the base of all future advances. That is why I will also be meeting with Estonia’s Minister of Education and Research and using Tartu University as a platform to address these issues. No country is too small to innovate and no country is too large to unravel the complexities of its economy and society. Estonia and the U.S. must join in the next innovation revolution.